Ok. C onfession time. I am not a great cook. Don’t get me wrong, there are a few dishes I can make with moderate success – fluffy scrambled eggs with cheese, chicken and spinach lasagna, a 7-minus-1 layered dip – but as far as day-to-day… I am no domestic goddess. I blame it on all the years of eating lunch – and often dinner – at the office. But, as unremarkable as I am in the kitchen, I do try to make most of my tot’s meals from scratch and keep them as healthy and as yummy as possible (steamed and fresh veggies, simple grilled meats, whole grains, fruit, berries, etc). So, when I come across something that might help me kick it up a notch in the kitchen, I get pumped! 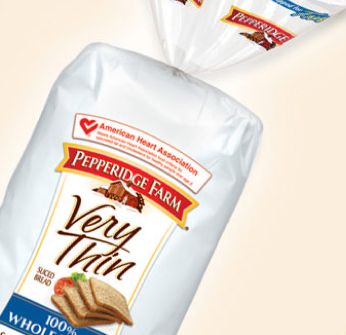 This morning, I made a discovery in the bread isle: Pepperidge Farm Very Thin Breads – 100% Wheat. Each slice is still as delicious as the regular batch, but is sliced much thinner at just under 1/4 of an inch. Check out the Vegan Yum Yum Cucumber tea sandwich recipe. Meaning, grilled cheese sandwiches are now slimmer and easier for tots to munch on. Mini pizza toast is crunchier and more balanced with the perfect crust-to-toppings ratio. And just think of all the tea sandwiches you can now try out on your wee little one! The imagination runs wild! Basically, in my humble opinion, using a slimmer slice for the tot-friendly culinary creations helps reduce the bulky bread component and lets the other ingredients shine through. Check out the Pepperidge Farm website to get more info on nutrition and happy cheffing! Previous Post Nerd Alert! NYC Comic Con Kids Day Tickets on Sale Now. Next Post Gearing up for a Road Trip? Happy Mess-Free Travel!